Lawrence R. Dworkin, Esq. website is for general information only. The information presented is not legal advice, and your use of it does not create an attorney-client relationship. No recipient should act on the basis of any content included in the site without seeking the appropriate legal advice from counsel. 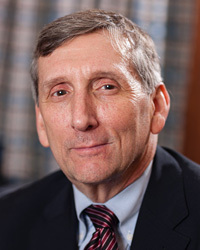 Lawrence R. Dworkin, Esq. expressly disclaims all liability in respect to actions taken based on any content of this site. Because every case is different, any prior results described on this web site do not guarantee or suggest a similar outcome. Transmission of information through Lawrence R. Dworkin, Esq. website is not intended to create, and receipt does not constitute, an attorney-client relationship. Receipt of information before a potential client receives and signs an engagement letter will not prevent Lawrence R. Dworkin, Esq. from representing someone else in the same matter. Lawrence R. Dworkin, Esq. does not endorse, and is not responsible for, any third-party content that may be accessed through this website.